Globish, Unreliable Narrators, Bulli For You, Anti Kale, Design The Shining Maze, Darts, Robots Buying Drugs. the word: What's this, you say?! Why it's a blast from the past! This was an edition from 2015 and we're bringing it back because we're on vacation and we heard #ThrowbackThursday was still a thing. What do you say to that?! Who knew there was such an audience for dart throwing? Brighten up your Tuesday by watching the crowd go wild as this guy throws 17 perfect darts. What Will the World Speak in 2015 is an excellent essay on evolving global linguistics from WSJ. For an art project some guys decided to program a bot and give it $100 to spend each week, shipping whatever they ordered to their own address. And then the robot bought 10 pills of ecstasy. And a falsified Hungarian passport... What to do about robots breaking laws? No idea. 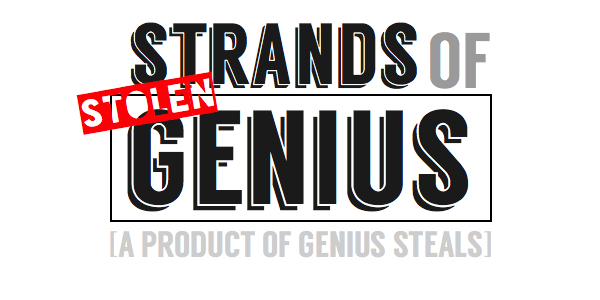 Genius Steals is judging the One Show One Screen awards for short films - here's a funny one about a Gunfighter, narrated in an unusual fashion by Ron Swanson from Parks & Rec. We never made it to el Bulli [but we can recommend their Tickets Tapas Bar in Barcelona, where you can sample the famous Spherical Olives] but this piece about gastronaut Ferran Adrià's new foundation and creativity lab makes for a fun journey through a creative mind. Speaking of gastronauts, McDonald's trolls them in this new campaign, and it feels like they are finally owning the right place for the Big Mac - ANTI KALE. Speaking of ads, this hilarious clip shows how women and men are portrayed very differently in them. ICYMI - Genius Steals wrote some fun[ny] 2015 predictions for Campaign USA - which has been picked up by the print edition in the Middle East. So they must be funny. 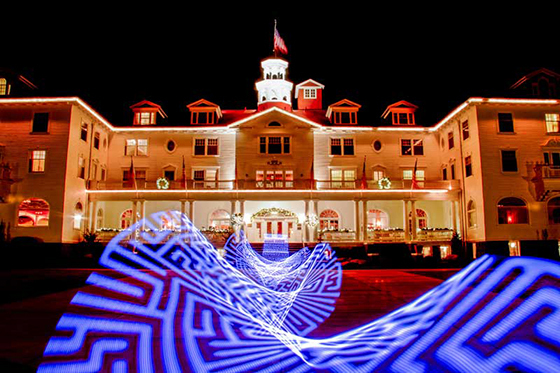 The Stanely Hotel, which is what inspired Stephen King to write The Shining, is running a contest to design a maze for the grounds, inspired by the maze inspired by the maze in Kubrick's The Shining movie. This is the essence of Genius Steals, right there. Want to collaborate with Rosie and Faris? They are a husband and wife team that consult, speak, write, teach, strategize, facilitate & generally play well with others. Copyright © 2018 Genius Steals LLC, All rights reserved.